"Using Daydream View or the Lenovo Mirage Solo with Daydream, students can do things that previously necessitated a physical presence in a lab, like examining organisms under a microscope and sequencing DNA," Google said in the announcement. "Because there’s no time limit, students can review theories, concepts, and techniques as many times as they want. Also, students receive personalized feedback in the app to help them understand which concepts they need to review, and which techniques need more practice." The company said students enrolled in Arizona State University’s online B.S. 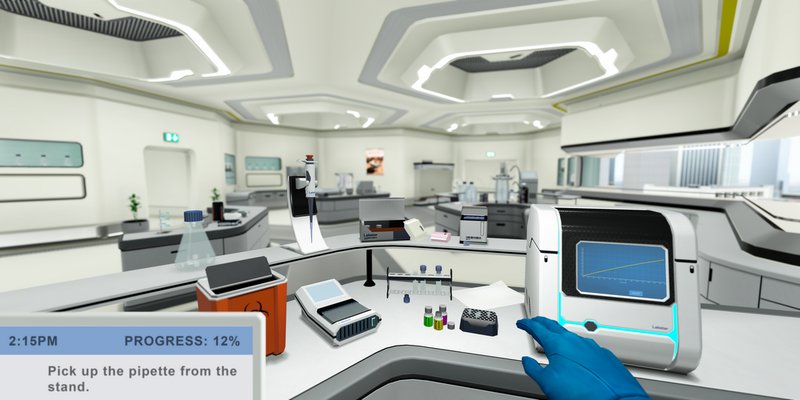 in Biological Sciences program have started working in these virtual labs for full course credit. McMaster University, the University of Texas at San Antonio, and more schools are adopting the technology. It's definitely great to see VR improving education, especially in a practical way like this. Because it's powered by Daydream VR, students might already own a phone that would work with it.